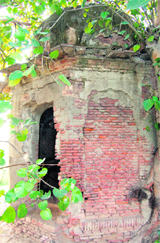 The district administration is set to propose to the Punjab Tourism Department to acquire a three-acre private land containing samadhs of the four descendants of Fateh Singh, one of the generals in the army of Maharaja Ranjit Singh, to be incorporated in the heritage village project under construction. Samadhs are located close to the heritage village near the Guru Nanak Dev University. Of these samadhs, three share a wall, while one is located at a little distance. Deputy Commissioner KS Pannu, who is also a member of the coordination committee looking after the project, said he would write to Principal Secretary (Tourism) Geeta Kalha to initiate the process. A samadh in a shambles. He said the inclusion of samadhs would bring a touch of reality to the entire project. Presently, these samadhs lie in a dilapidated condition. The dome-shaped structures contain priceless fresco paintings which are gradually fading from the walls in the absence of necessary care. 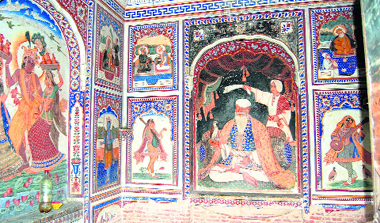 The wall paintings depict mythological tales of Hindu gods like Lord Krishna, Shiv, and Sikh gurus. 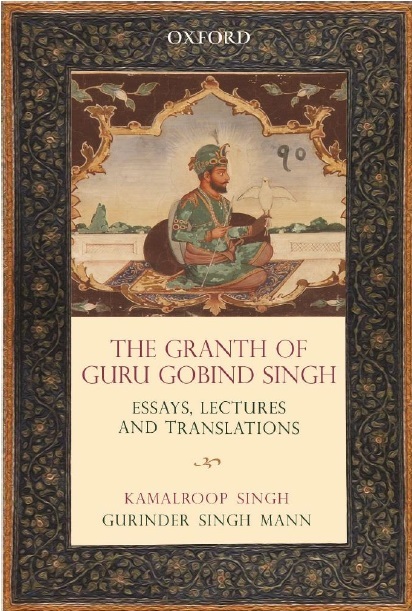 Other frescos are that of Radha, Saint Kabir, Meera Bai, Munshi Ditt, Gopi Chand, Guru Harkrishan, Guru Gobind Singh, Narad Muni and Arjun of Mahabharata. The paintings depicting Lord Krishna and his friend and devotee Sudama on the outer walls of the tombs have already been damaged due to the vagaries of weather and the irresponsible behaviour of the visitors who had defiled it with graffiti. Located amidst agricultural land, these samadhs remained out of reach for common people as there was no pathway to reach these historical artifacts. They are built of Nanakshahi bricks. Deputy Commissioner Kahan Singh Pannu inspects the heritage village work in Amritsar. Pannu said once the area was included in the heritage village the committee would consult experts to restore them. He hoped that they would be a potent attraction to tourists. The heritage village, which is expected to be completed by November 2011, would revive the old charm of Punjab’s villages that had assimilated the diverse religions of the Sikhs, Muslims and Hindus. The heritage village would include shops of potter, blacksmith, carpenter, dhaba and akhara. These shops would not only prepare these items but also sell them to visitors. Certain area has been reserved for holding mela which used to be an integral part of rural life. Interested tourists could also stay there as 20 rooms are being constructed. An interesting feature is Barat Ghar, where people could also solemnise marriages of their near and dear ones in traditional way. As per the tradition of Punjab, the village would have a ‘Khera’ (first house dedicated to God with no idol inside) and ‘Gugga Marri’ (snake shrine). These shrines used to be built first before the setting up of a new village. Pannu said as per the latest decision of the coordination committee, operation and maintenance of the village would be allotted to a private company which would be selected by inviting tenders. He said a hospitality company with an annual turnover of Rs 50 crore, considerable experience in the sector and being the highest bidder, would be handed over the project for operation and maintenance. However, he added, it would be subject to overall supervision of the committee. The project was conceptualised nearly eight years ago with an aim to prolong the stay of tourists in Amritsar. Though the holy city is among one of the most visited cities in the world, its hospitality industry wanted opening of more tourist sites.A joint project of the Punjab Government and Guru Nanak Dev University, it took concrete shape when Vice-Chancellor AS Brar inked the MoU on behalf of the university with Principal Secretary, Tourism, Geeta Kalha, on behalf of the state government on September 25, 2009. Following this a coordination committee was constituted with the Vice-Chancellor as the chairman and other members being Dean, Academic Affairs, Registrar, Director/Professor in charge (Public Relations), Professor in charge/coordinator (heritage village) of the university, the Secretary, Tourism, the Secretary, Higher Education, the Deputy Commissioner, Amritsar, and the president/chairman of the recognised association/body representing tour operators in Amritsar with the privilege of the Punjab government to appoint a consultant. For the project the university has given 11 acres land, while the state government had allocated Rs 10 crore for its construction. Pannu said the location of the village on the road to Attari-Wagah joint checkpost would come in handy for the tourists who would like to stay at night to witness the Retreat ceremony the next day.